If you use your mobile device at the gym, chances are you’ve encountered an annoying phenomenon while getting in your daily cardio. 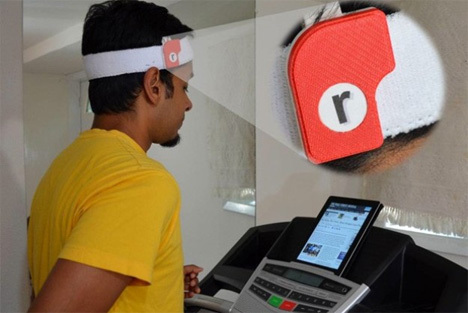 The impact of jogging, walking or riding on a treadmill, stairmaster or exercise bike causes the screen to bounce out of sync with the user’s eyes. A new clip-on accessory evens things out. The Run-n-Read acts as a sort of visual mass damper. 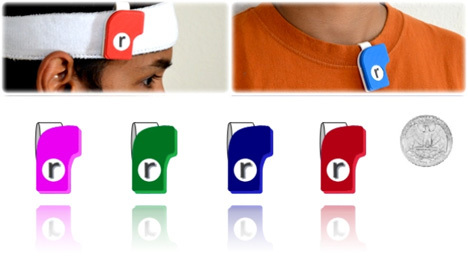 It attaches to most head gear and identifies the movement of the wearer. Innovators Weartrons are working through the crowfunding platform Dragon Innovation. Using motion sensors and small control regulators, the Run-n-Read syncs to your mobile device via Bluetooth. The device’s app causes the text on the screen to bounce, making it appear still. It has a battery that is USB rechargeable, and it can be purchased through their platform for $55. It’s yet another exercise accessory conveniently attachable to your body. See more in Various Gizmos or under Gadgets. September, 2013.